Survey Rocket, yet another plugin on SugarCRM has been built to send surveys online effectively to the desired audiences/customers/buyers! Get to know about their choices, likes and dislikes. Now it is so easy to be aware about their needs! It’s time to offer your customers the benefit of Wordpress and SugarCRM integration by offering a dedicated Customer Portal accessible from their WP interface. This is what your customers would be looking for. Better and controlled systems making their business function powerfully and faster. It simplifies and reduces communication with the customers as they would be able to update all the modules by their own using the interface. Think of your enterprise powered by CRM technology, designed to perform and easy to use. Deep industry-specific functionality and an interactive interface, deliver new solutions that endue your business to innovate and stay competitive. Customer Relationship Management software applies to the system through which businesses market, sell, and deliver services to customers. 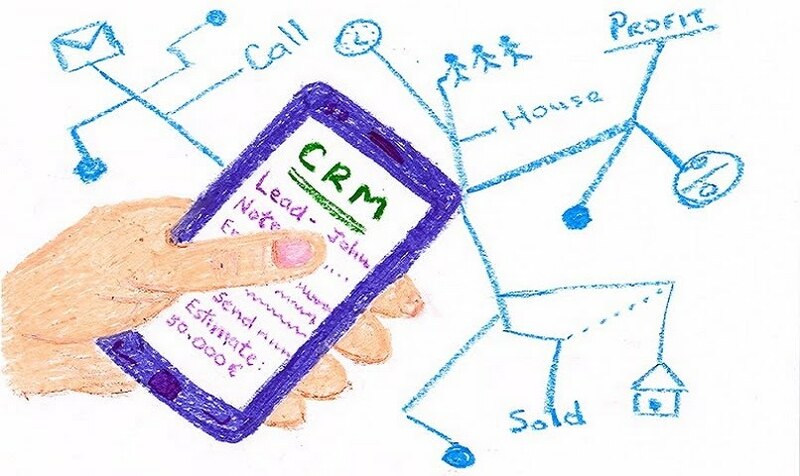 CRM must provide customization which fulfill the needs of the business, whether it is a small, medium or large business organization. “CustomerPortalPro” is such a platform that allows organizations to quickly and easily create a dedicated SugarCRM Customer Portal which they can access from their WordPress interface, a more secure and efficient way of consuming information and interacting with processes, applications and other users to meet the requirements of specific industry sectors. This plug-in will help your customers to use several Sugar modules in their WP interface, which you can define from your admin front. It can integrate modules like Accounts, Contacts, Leads, Opportunities, Calls, Meetings, Notes, Cases, Documents, Tasks etc to your WP customer interface for their use. It will simplify and reduce your task of communicating with your customers through any other means. Your customers would be able to update all the above modules on their own. You can decide access of which module should be provided to all customers from Sugar side. Customers can access the plugin through username and password. To avoid duplicate data entry the email Id, username and passwords are mandatory, also emails and passwords must be unique. The assigned user must be configured in WP configuration. The assigned modules to a specific role will be displayed in portal based on the roles. Enabling organizations of any size to capture client related information and analyze the data to achieve excellent quality and ultimate customer satisfaction. Solutions must be such that it can be precisely tailored to meet the exact needs ‒ and are highly scalable so they can be extended as your business expands. Successfully building brand loyalty and keeping long-lasting relationships with customers is important to attract and retain customers in the face of amplifying competition. Self-service is the key to attract consumers today and CRM integrated sites have become an integral part of user interaction with enterprises they do business with. They might be employees, customers or partners who wish to interact with the organization from anywhere around the globe at anytime. A portal such as this provides a convenient way to post service issues and lets you stay open for business around the world. 24 x 7 service will let you deliver a high-quality experience for customers. Maulik Shah runs Biztech Store wherein one will find various extensions, Plugins (like Customer Portal Pro) and other products helping businesses grow rapidly. He is an enthusiastic reader and writer who loves to write on technologies and platforms. Have You Ever Used Delivery Date Scheduler For Your eCommerce Store? Process of delivering products through e-commerce has evolved since the start of ecommerce, as conclusions from a new Retail Survey show, clients want more & more flexibility in ordered product delivery options, and retailers have to present this to boost conversions. Insufficient Delivery Options = Dumped Purchases! Let's face it, all the customers don’t have the time to hang around for delivery of their purchase, so need of the hour is to use Delivery Date Scheduler. Regular delivery will go well with few clients but most of them would not prefer to wait longer and will be willing to pay for preferred delivery schedule. If your rival has next day delivery for the same item and you don't, your client may opt for that product. To match the ever evolving need of E-Commerce customers regarding delivery options, Biztech Store has come up with Magento Delivery Date Scheduler. Our plug-in will enhance your customer's’ shopping experience with various usages such as, customers can select day and time of delivery from range of given options. They can also create delivery messages. Get shipping details on checkout page. As well as there is a delivery option available to select, which is - “Timeslot view (with Price)” or “Calendar view”! How An Admin Can Use This Plugin? Delivery dates can be disabled for specific days. Specification of step which contains details of shipping arrival date and time. Notification for the admin of upcoming order deliveries. Export of date-wise orders in form of a graph or any other format for future reference. Admin can select number of delivery days available for Delivery. Admin has right to define different time slots available for product delivery. Delivery Date Calendar to help admin see orders date wise from the calendar. To conclude, there is nothing superior than meeting demands of your store customers and exceed your competitors. With Delivery Date Scheduler, impart flexible delivery options to your customers. Nothing can make as interesting as this Plugin. How CRM Instance App Helps Access Your Customers’ Data? One of the key advantages of implementing a CRM App is the shortening of the sales cycle. There are various strategic advantages in being able to access CRM data on the go. It provides sales people with immediate access to most up to date information. This helps them plan and prepare for a meeting when in the field and get automatic prospect follow-up reminder while on the move. To be able to access CRM modules on the go is not just a worthy tool for sales people and those involved in business development , but it can also be a useful tool for management teams, support teams and customer service agents who can input and access information on the go and take quick decisions. You can get all important customer and potential information at your finger tips and a broad view of all your meetings, account details, and tasks to be completed. In order to get the full value from data, people need to have access to the substantive information that right away applies to their role in the company. A proficient Customer Data Access App works online and offline! It lets you have dynamic functionalities while accessing your customers’ data on mobile phones. SugarCRM mobile app can be customized to offer critical information on the spot such as inventory availability or any other information the team may need. SugarMob Pro is one such app which you always wanted! You can select various types of modules and layouts from SugarCRM back end and smoothly navigate from modules on mobile along with dynamic synchronization to SugarCRM instance. It helps increase the sales team productivity in a number of ways. The app is very easy to use and maintain. It is not necessary to have technical background to utilize it. SugarMob Pro has been developed from users point of view. By streamlining your contacts and sales into a simple, mobile workflow, SugarMob Pro makes growing your business easy. The App is intelligent, friendly, and by your side everywhere your business takes you. With a highly interactive interface, it is capable of changing your business perspectives. Ever Imagined Why Healthcare Sectors Integrate CRM With WordPress? Here’s Why! Are you in the healthcare industry? Does your WordPress website leave you behind when it comes to customer satisfaction? This can be easily fixed by offering your WP customers the benefit of SugarCRM and WordPress integration in the form of a dedicated SugarCRM Customer Portal which they can access from their WP interface. Better and automated system, making their business function smoother and faster. Huge changes are sweeping across the healthcare business and are dramatically impacting healthcare organizations. For successfully building brand loyalty and maintaining long-term relationships with customers it is must to retain and satisfy customers in the face of increasing competition. Providers, payers and pharmaceutical companies are focusing more on patient care and satisfaction. At the same time, patient expectations for accessibility of information and interactions have risen dramatically. To adapt in this dynamic environment, organizations must be able to rapidly respond to changes in market conditions and customer requirements. The solution must be such that it enables you to share information across systems and organizations, helping to assure consistent, up-to-date information. How Customer Portal Pro works! “Customer Portal Pro” allows you to manage all of your customers, partners, dealers and affiliates. You can organize your customers using custom attributes and keep track of your compatibility with them. It works well because it’s easy, powerful and you can manage everything from the ‘admin’ section of your site. This plugin can integrate Accounts, Leads, Contacts, Opportunities, Meetings, Calls, Cases, Documents, Tasks, Notes of Sugar modules to your WP customer interface for their use.It will cut down your task of communicating with your WP customers and enables healthcare organizations to improve visibility, reduce complexity and remain quick in the face of massive change. Modern healthcare systems must quickly evolve to meet the expectations of the connected users. It has been observed that costs have increased steadily irrespective to the medium of delivery, so ways have to be found to better, and cost efficiencies in delivering healthcare services. Customer Portal Pro enables healthcare sectors to go beyond this and build meaningful relationships with customers. New Mobile Application named SugarMob Pro to manage SugarCRM Instance on the move. It lets users have a dynamic functionality while accessing your customers’ data on mobile devices. Biztech store, the prominent provider of cost-efficient & reliable plugins and extension development has rolled out a new Mobile Application named SugarMob Pro to manage SugarCRM on the move, with great features and comprehensive solution performance. Biztech store also offers credible reasons to avail SugarCRM services for emerging businesses and several other services for the organizations looking for better position in global market. Companies that run on SugarCRM can now easily build applications for their customers – integrated with their existing solution. Mobile apps seem to be the new boon of marketing communication. It possesses qualities that other communication channels simply don’t; they are able to deliver quick notifications that are instantly seen, unlike other marketing messages read by users. No wonder, their benefits are clear. They increase the clarity and scope of businesses and often become a very profitable sales channel. That’s one of many reasons companies should divert their attention to this trend. Some have already grabbed the opportunity and brought a consumer application to the market while some are still wondering about where to begin. There are many tools for creation of mobile apps today, which are mostly standalone solutions that work either with online resources or with their own database. As a result companies that already implemented CRM are forced to use a separate tool. Biztech Store has introduced its new product: SugarMob Pro for SugarCRM. The solution assures to provide an easy and affordable way for SugarCRM customers to follow the new mobile apps genius and get their own customer app on the market. The new product from Biztech Store gives SugarCRM customers an opportunity to make use of their existing structure. The app is very easy to use and maintain. It is not mandatory to have technical background to utilize it. SugarMob Pro has been developed from user’s point of view. Companies that run on SugarCRM can this way take benefit of their system and create a consumer app that’s integrated with their database. “It takes lot of effort, time & money to develop a whole new application from scratch, instead all you need to do is choose the content you want to share from SugarCRM & customize the design of the app as you want. It will be the reflection of how SugarCRM Instance is configured.” said Mr. Maulik Shah, CEO, Biztech Store. “All the records that are added, edited or deleted from SugarCRM can be synced automatically. The data will be reproduced in the application itself. There is no programming involved at all” he adds. Are you looking to improve patient satisfaction or create a hospital with happier employees? Well, it is then very important that you measure your performance over time. Setting up performance benchmarks will give you a point of reference to understand how some initiatives improve the services you provide. The best approach for this is, where healthcare providers and patients interact closely. But patients and providers don’t always meet face to face. Surveys are the best way to gather information that doesn’t reflect on lab reports or come up in conversation. And while patients might pause or hesitate to provide you with direct feedback in person, surveys provide them with an option to do so in their own environment. "Survey Rocket" is such a plugin, which will help patients and Healthcare employees to submit their response/feedback through the survey plugin. Once submitted, the responses will be stored in the SugarCRM system which then, provides accurate feedback reports. Re-submitting Survey or Vice Versa! Implementing Survey Rocket will improve the patient-provider communication by getting important feedback from patients as well as employees. A lot of healthcare providers have recognized this need and are implementing the same which helps them understand the likes, needs and preferences of particular offerings. Thereafter you can evaluate or measure the satisfaction ratio and move further to the next phase. For instance, if you observe that 5 out of 10 patients are satisfied with the services or treatment, it may be hard to know how you’re really doing. But when the figure jumps to 5.5 or 6, it means you’re headed in the right direction. Surveying patients and healthcare employees always provide suggestions on the service they get & deliver; and it will help identify areas which need improvement. Happy, empowered and motivated patients or employees lead to health care professionals, dedicated to providing the best care possible!